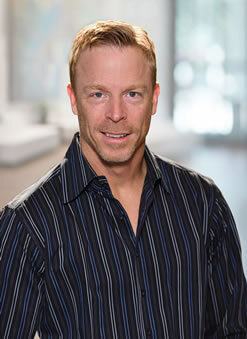 With a degree in mechanical engineering, Nate’s practice focuses on litigating intellectual property disputes, especially patent infringement and trade secret misappropriation claims. Nate has also handled before the Patent Trial & Appeal Board several inter partes review (“IPR”) proceedings newly-created as part of the America Invents Act. Nate also argued before the Federal Circuit one the first of these IPR decisions, which resulted in the Federal Circuit affirming the patentability of his client’s patent. Nate has experience in a wide variety of technologies, including semiconductor fabrication, internet-related technologies, opto-electronic devices, and GSM mobile phone technologies. Nate also focuses on identifying and implementing alternative means for resolving technology-related disputes, including mediation, arbitration, and negotiation. Nate is also a registered Patent Attorney admitted to practice before the U.S. Patent and Trademark Office (USPTO), where he has prosecuted numerous patents related to mechanical, electrical, and biomedical devices and technologies. Litigated patent infringement claims related to nano-technology hydrophobic coatings for refrigerators appliances. Dispute was moved to the Patent Trial & Appeal Board to resolve two petitions for inter partes review filed by accused infringer asserting patented method was invalid over multiple pieces of alleged prior art. After full trial on the merits of the petition, the Board issued Final Determinations in both IPR proceedings finding that the accused infringer had failed to establish the invalidity of the asserted claims. Nate won summary affirmance of the first Final Determination by the Court of Appeals for the Federal Circuit. Defended major supplier to global appliance OEMs against claims that the supplier infringed two patents held by a competitor. Litigated patent infringement claims relating to computerized crosswalk pedestrian systems for hearing- and sight-impaired pedestrians. Won summary judgment that competitor’s system infringed client’s asserted system. Litigated multiple patent infringement actions against widespread “knockoffs” of client’s 360 degree rotation feature for folio e-tablet cases. Litigated inter partes review proceeding defending validity of client’s patent for cigarette rolling machine. Litigated patent infringement claims against major printer manufacturer related to patented technology for embedded web server functionality. Litigated major patent infringement dispute involving computerized casino games and federal and state law antitrust counterclaims. Litigated patent infringement claims relating to devices and techniques for performing minimally invasive surgical procedures. Defended a manufacturer of hardware logic emulation systems against patent infringement claims brought by several key competitors in a long-running patent dispute. The case against the client was eventually dismissed after and the competitors were ordered to pay more than $5 million in fees and costs to the client after Nate’s team proved that the patentee had fabricated key evidence in an effort to support the validity of the asserted patents. More information regarding this widely-reported case can be found here. Represented a major telescope manufacturer in several patent infringement lawsuits involving computer-controlled telescopes. The core patents at issue covered a groundbreaking method for auto-aligning telescopes. More information regarding this dispute can be found here. Represented a manufacturer of optoelectronic transceivers and surface emitting lasers in a series of patent infringement lawsuits relating to optoelectronic components for use in multi-gigabit fiber optic telecommunications networks. Litigated patent infringement claims relating to cardioplegic solutions infused into the human heart to minimize cardiac muscle damage during stopped-heart surgery. After the client won summary judgment of willful infringement based on the patent claims as corrected by a 2001 Certificate of Correction, the Federal Circuit reversed, holding that the Certificate of Correction was invalid and remanding for trial based on the uncorrected original claims. The Federal Circuit’s ruling can be found here. Defended patent infringement claims relating to techniques and structures for manufacturing blow-molded plastic furniture. Defended manufacturer against patent infringement claims involving solid-surface building materials. Managed the intellectual property assets of a former Silicon Valley high-speed Internet service provider. This included representing the former ISP during patent litigations between creditor trusts and accused infringers, including claims brought against Microsoft for infringement of a patent on a method for automatically adding hypertext links to documents. Also represented the former ISP during major litigation brought by the creditor trusts against the former ISP’s controlling shareholders, including AT&T and Comcast. The claims brought by the creditor trusts, which included breach of fiduciary duties, misappropriation of trade secrets, and patent infringement, eventually settled after Comcast and AT&T agreed to pay the trusts $400 million – one of the largest tech-related settlements ever. More information about this settlement can be found here. Represented major computer chip manufacturer against former employees in lawsuit involving theft of trade secrets, violations of the Computer Fraud and Abuse Act, and common law claims. The former employees had left to start a competing company, and had taken numerous confidential documents, materials and other trade secrets. The district court granted the client’s request for an emergency TRO, preventing any further distribution of the misappropriated materials and freezing the assets of the newly-formed company. More information regarding this case can be found here. Acted as first chair counsel during arbitration of breach of contract claims brought by consulting firm against a former customer. At the conclusion of a five-day hearing, the arbitrator rejected all of the defenses raised by the defendant and awarded the client both the full amount of its requested damages as well as its attorneys’ fees.